Cloud is the most talked about term in the tech world nowadays, so the opensource guys have released a new cloud-based Linux operating system called as JoliCloud. It was pretty fun using the OS and it looked quite familiar to Google’s Chrome OS. 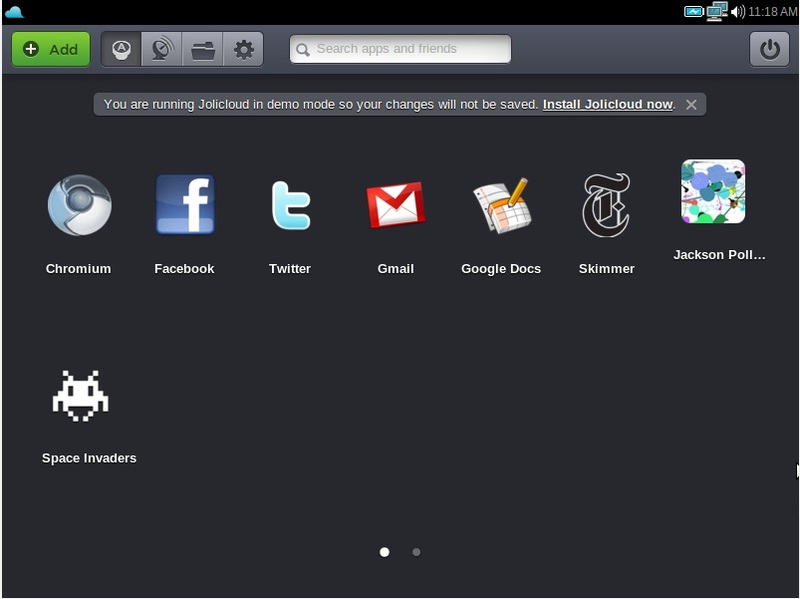 Jolicloud has chrome as default browser and had a lot of cloud based features. 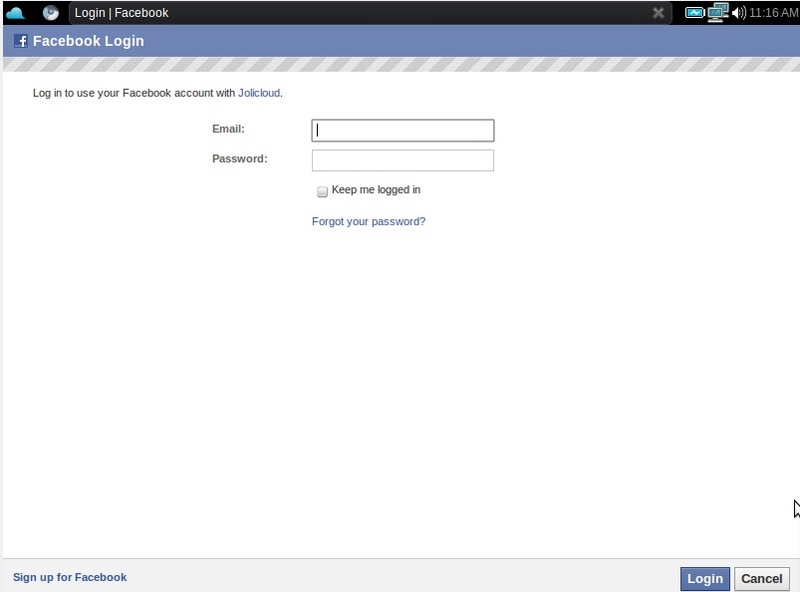 To use Joli you need to have an account or you can even use you facebook and other accounts to login. The inerface was neat and didn’t had much applications. The first screen when you boot from the jolicloud LiveCd. The start screen looks like this, you can directly boot from the liveCD without having to install anything. The Login screen, you can also connect using your facebook account. 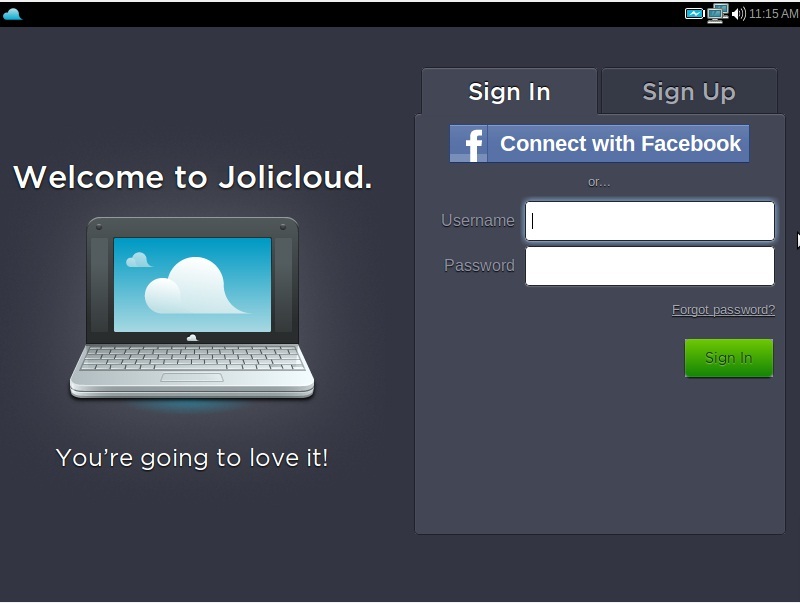 The login to JoliCloud screen when you use “Connect using facebook option”. The liat of applications already installed in the LiveCd it has Chrome browser, Google Docs but a media player is missing . You can download VLC from the appstore. 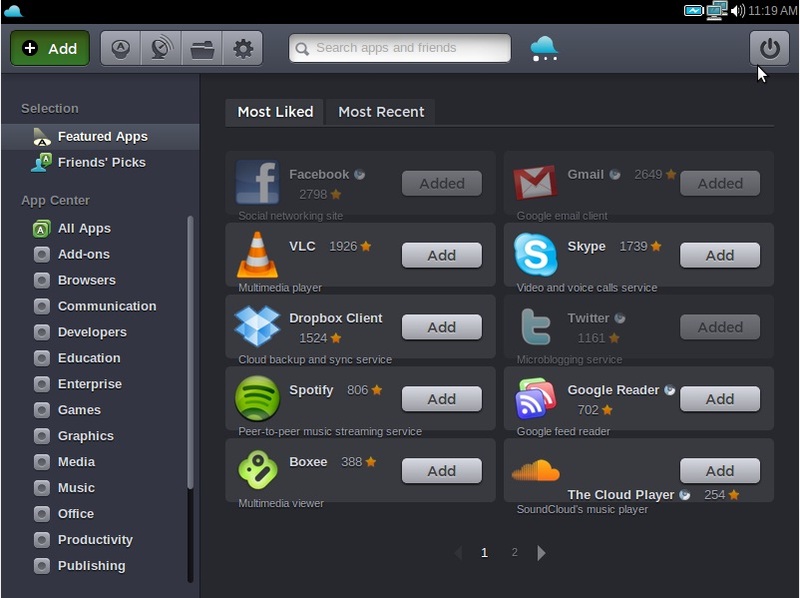 The above screen shows the AppStore for JoliCloud. As the Operating System is just launched so it has very few applications for download but we hope the Joli team would add them pretty soon or would implement some opensouce application store to be used by the Jolicloud. 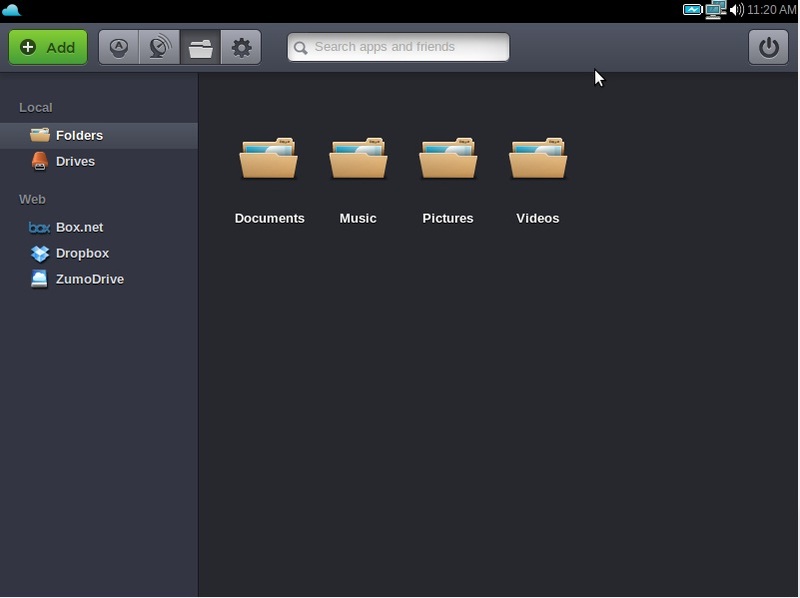 The filemanager of JoliCloud, you can aslo use Box.net and other services to store your documents on the Internet. 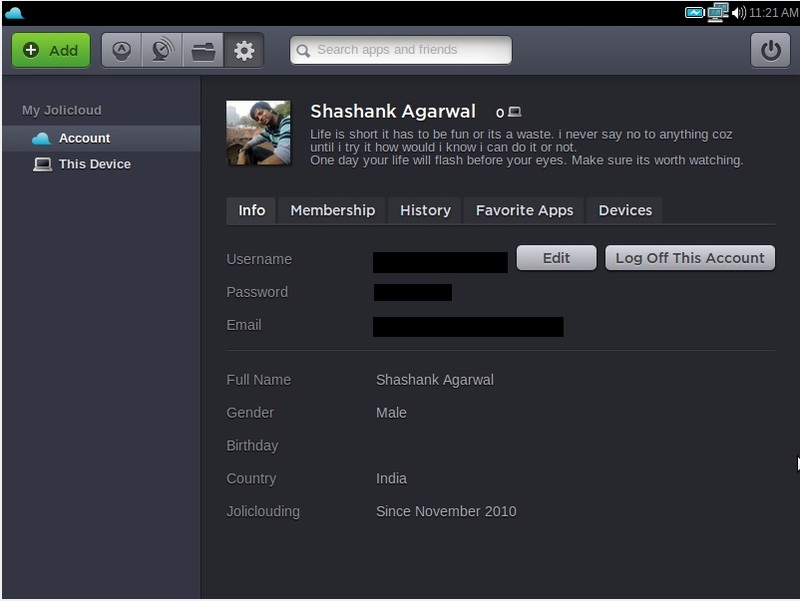 The progile on a JoliCloud, the pics and bio were pulled from my facebook account. Cloud-computing has been hyped a lot but I personally don’t like the concept of a cloud-based OS as if there’s some problem with the internet i won’t be able to access my own system even though if i just want to listen to some music or something else as all my data would be store on cloud and to access that i would need internet. I am in favor of cloud services such as cloud gaming and other services, but lets see what cloud computing becomes. The real fate of cloub based OS would be determined when Google’s deeloped Chrom Operating System is released next year.